Do You Know What You Need To Do In Order To Avoid Tantrums And Meltdowns? Hey there moms, dads, first timers and seasoned veteran parents guess what? My little one turned two about three weeks ago. Yup! The terrible twos are here. I had to watch and learn to find out what I could do in order to avoid tantrums and meltdowns which left both me and my little one feeling bad. I braced myself for it back when he was 18 months old as I was told it could start as early as 18 months and last until he was 4 years old! Hoping that this will not be the case. If you are a mom or dad and have a toddler, you know a thing or two about tantrums. In case you don’t, get ready to learn all about tantrum drama. If you don’t have any kids yet, don’t let this post put you off. Kids are the greatest blessing in the world. Really! Trust me! My little one inspired me to write this post after going through a week of daily tantrums. Yesterday was the most intense, and I begged the heavens to give me the patience of Mother Theresa. The thing with temper tantrums and meltdowns is they always seem to happen in the worst of places at the worst of times. We have been lucky so far (*knock on wood*) and his tantrums have been at home. I have seen lots of parents at the grocery store, who have not been spared of public tantrums. Sigh. Lying at their feet is their toddler who is just not having it. Screams of “no,no,no” with fists pounding the floor in fury. Yikes, you could hear the noise all the way from Mars. Crying, hitting, pinching, kicking, stomping, throwing things, and screaming are all popular tantrum techniques – or tactics. LOL. Before I had oh darling little one, I judged other moms a lot. Yes. I admit it. I would often think to myself “can’t she control her kids?”, “why is she allowing her child to roll around on the floor? I’d never do that”. Now I keep my mouth shut and give the mom a knowing smile when she has a look on her face wishing for the floor to open and swallow her up. I can show empathy because I get it. I don’t like giving my little one cookies and sweets to get him to do what I want but if it will prevent a tantrum while out grocery shopping, then a moms gotta do what a moms gotta do. It is what it is. Don’t judge. You will learn to recognize the signs and prevent the temper tantrums and meltdowns from even taking place. It may not be possible every single time, but you can try.It will be easier when you’ve learned how to avoid, handle and cope. 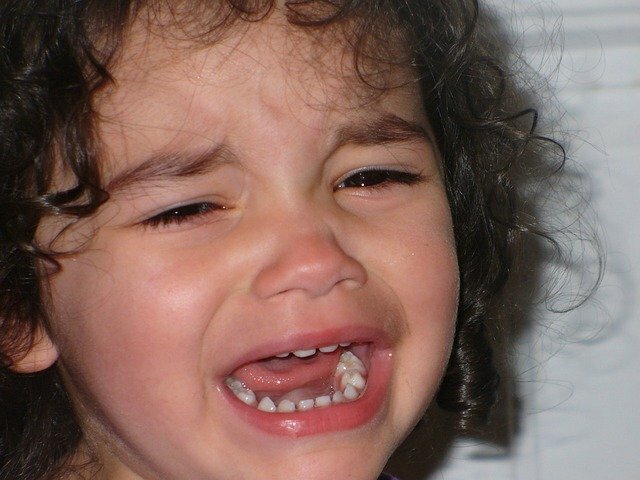 Why Do Toddlers Scream And Throw Tantrums? Attention. Toddlers scream whenever they want a parent’s attention. It is their way of saying, “Hey, over here, look at me, look at me now! I need to tell you something.” At times, screaming mean something else. They get frustrated when you don’t respond to what they’re ‘saying’ and throw a fit. Their communication is limited, yet they have so much to say. Toddlers do not know how to get all their thoughts, wishes and needs met. My little one can be the most patient toddler on planet Earth. On the other side, when he is trying to tell his Dad or myself something and we don’t immediately get the message or misunderstand – he freaks out. This is how toddlers release their frustration. As you get used to the screaming, screeching, shrieking and tantrum throwing, you will soon figure out what each of the “sounds” (and their levels) mean. Toddlers love to explore the power of their voice and experiment how to use it.How to use it to get want they want. Toddlers love trial and error. What Can You Do To Help Cope With Tantrums? They are able to go through this process quickly to figure out what they can get away with and with whom. They will practice at home, in daycare, grandma’s house, with the nanny, everyone. Whoever chooses not to comply? Tantrum city. The trick is knowing how to cope. The moment they realize they can get what they want whenever they throw tantrums because you give in? You are done for. Don’t ever let these 3 foot nothings see you sweat. What Can You Do About It? Learn the do’s and don’t of temper tantrums and meltdowns. Recognize the triggers. You will know when Its. About. To. Go. Down. When your child is throwing a tantrum, it can be tough to keep yourself from having your own meltdown, too. Stay calm, consistent and don’t give in.It is easier said than done, but stick to your guns. Never underestimate the power these little ones have. Once your child realizes the temper tantrum isn’t getting him/her anywhere, they’ll stop screaming. Like magic. There are many different tips, tricks and strategies to turn your child’s attention elsewhere or to get them to calm down. There are also a lot of no-no’s. Let’s start with those first. Screaming at your child when they are screaming only sends the message that whoever is loudest prevails. It is so hard but it is of utmost import to never lose your cool. 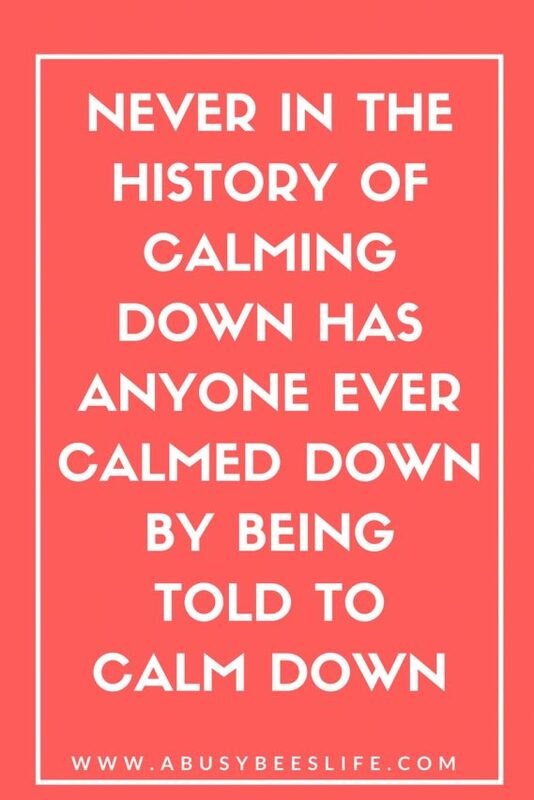 Be the calm in their emotional storm. Think about it this way, have you ever been upset, angry and frustrated? Screamed and cried? Well how would you like it if someone bigger came up to you and screamed even louder at you? Would that make you feel better or worse? When we fly off the handle, it makes our babies more upset. Often times, it creates fear, shame, and feeling bad about themselves. If someone yells at me, all it does is silences the point they are trying to make. In one ear, out the other. Raising your voice is necessary at times but screaming like a raging lunatic at your toddler is ridiculous. It really irks me when I hear a parent say “the baby is shouting so I have to shout too.” or those who shout in an effort to “instill fear”. How cowardly. Do you want your child to hear your words or your voice? It is so pointless as they are incapable of hearing or being rational in the very moment. Trying to get them to stop, or to be quiet is not going to work. Wait for your child to slowly start calming down, then try again. If the screams get louder again, back off and wait. Step away but do not walk away from your child when they are having temper tantrums and meltdowns. This can breed abandonment issues. The message being sent by doing so is that they are unloved when they are feeling bad, sad or frustrated. Just when your child needs you the most, don’t walk away. I try to stay close by even when he wants me to get away in his moment of anger. When he is over it, I always give his hugs and kisses and then talk. Isn’t ikt always necessary? LOL. Guilty as charged. I have bribed my little one many times. Cookies, chocolate, iPhone. He loves looking at pictures and videos on the iPhone and I have used it to allow him to get his way and stop crying. However, yesterday, I refused to give in. He was shocked! I say bribe if absolutely necessary but do not make it a norm. It is never good to reward bad behaviour. Just don’t. It’s not about you. MOM TIP: Remember being bored, tired and hungry are the three biggest tantrum triggers. Unless your child is extremely spoiled. Does your child get cranky around the same time every day? What could be the trigger? Is there need for an afternoon nap? Food or water? Or does your child need to get out of the house and get some fresh air? My little one LOVES going on evening walks with his Dad. That’s their thing. They walk or take his tricycle and are out and about for an hour. Mom gets to relax for an hour and all is well in the world. I cannot emphasize enough how choices can work wonders with toddlers. In our house, and maybe in yours too, tantrums happen because our toddler feels he has no control over the situation. My God the injustice of it all! I give choices that allows him to feel in control. Take this scenario. You are trying to get out of the house in the next 3 minutes and your little one is not really feeling like putting his shoes on. “RED!” he screams, and on his feet they go. Choices, choices. This way I can guarantee that I won’t get no as an answer, he feels in control, and he is doing what I need him to do so we can get going. It is a win-win situation. I do the same with clothes, food, jacket, snacks, fruit, toys……works like magic. Never discount your toddler’s feelings. Are you in a loud store, restaurant or environment. It might be too much for your toddler. Always reinforce by speaking positive affirmations and letting your little one know what you are doing and why. Finish explaining by stating you will be done soon and something more fun is going to take place next. You know what a great trick is? When you feel a meltdown coming on? Whisper? What? Yup, that’s what I said whisper. Toddlers love challenges. Whispering will catch their attention and make them curious to try to hear what you are saying. Sometimes, I snap my fingers and say “try to snap your fingers if you can hear me.” It’s funny because they can’t snap their fingers, but as I said, they love challenges and will try to do it anyway. Redirecting attention will save your sanity when your child goes through this phase of temper tantrums and meltdowns. My little one knows I am a busy bee and that I love organization and projects. He loves being my great little helper. At first, I used to think it would be better for him to sit and watch me put away the laundry or vacuum or clean up the kitchen. Then I realized he loves to help and doesn’t like it when he feels like he is not included. So I changed my game and strategy. I’ve learned that he’s calmer when he’s busy. We make up songs and stories as we are working and it turns into a little game. The best part? Telling him what a great job he has done and watching his smile on his face as he claps his hands knowing mama is proud of him. Sometimes you just need to teach your toddler to wait. Don’t jump at their every request. Gently say “yes you can have a toy, but just give me a minute to finish this”. Part of having temper tantrums and meltdowns is an unwillingness to wait for things. Learning to wait will teach your toddler patience and meltdowns are less likely to happen when they know they will get what they want, even though they might have to wait for SIXTY SECONDS. As the saying goes, pick your battles. Children need problem-solving tools and a healthy and happy environment to grow up. They should not be hearing “hey, no, stop, enough” all the time. Of course, those are words you might need during the day to prevent them from being hurt or doing the wrong thing. There are many ways to do that without having to say NO to everything. I will save those tips for another post. Give in a little, not all lessons require a consequence. Use challenges as an opportunity to talk and help your child and yourself to come up with better ways to handle “tough” situations. Toddlers will grow out of this phase. It will not last forever. Encourage quiet in certain environments, but remember kids are kids and are learning to use their vocal chords. Control the general volume in your house. If your TV, radio, and computer are always blaring, then don’t be surprised as to why you have a little screaming toddler at home. No screaming at your toddler or other family members. Children imitate their parents. The good, the bad and the funny. Aside from the temper tantrums and meltdowns of the terrible twos, toddlers are giggly, silly, and fun. My toddler is awesome because he can feed himself, play by himself, be left alone in a room for a few minutes, only poops once or twice a day, doesn’t cry much and when he does I generally know why. He can follow simple instructions, tell me what he wants or needs, and sleeps through the night. He is curious, engaged, and so excited about learning about the world. Everyday’s an adventure for us and I absolutely love it. And him. Are you a first-time mom, seasoned veteran, or planning to have kids soon? Let me know your thoughts on this post and how you deal with temper tantrums and meltdowns. I am learning by doing, so tips, strategies and advice are welcome. You can download the 5 Things You Should Do To Avoid Temper Tantrums And Meltdowns and 5 Things You Shouldn’t Do During A Temper Tantrum from my free resource library now. Thank you for sharing. These are great tips. When I used to work in early childhood education these were tips I would share with parents. It is a hard time to get through but if you handle it right your child will be pretty well adjusted by the time it’s over. I agree with all your points in regards to Temper tantrums, however there is a huge difference between a temper tantrum and a meltdown – they are not the same thing. A temper tantrum occurs when a child wants something – they are in control of their actions, they will look at you, they can turn it on and off if they get their way. A meltdown on the other hand occurs when a child is in sensory overload and during a meltdown they are not in control of their actions. A meltdown can not be turned on and off. I am speaking from experience with two children on the autism spectrum who enter meltdown mode frequently due to being in a sensory overload. Every child has temper tantrums and metldowns but they are dealt with in completely different ways. If you respond to a meltdown in the same way that you respond to a tantrum, the meltdown will become significantly worse. Hi Jenni, I get what you are saying, but I think what you are explaining here is something far deeper. Sensory meltdowns are reactions to feeling overwhelmed so when a child has a sensory meltdown it is important to help then de-escalate or change the amount of sensory input. Not too different from a tantrum, just a different approach. Also, depending on the child, a tantrum could trigger the meltdown. The key here is identifying the outbursts and knowing what your approach should be as each parent knows their child best. Understanding your child’s wants, needs and emotions is the only way to learn how to help them. It is a tough challenge and for you as a mom with children who go into meltdown mode, I can only applaud you for sharing your thoughts and experience, and being a teacher by sharing. Thank you so much. xoxo S.
Some really great points here! Sometimes it can be hard not to get frustrated with them and lose your temper. Both my kids have different ways of dealing with stuff and I definitely agree with you about looking out for the signs! Great tips that I will try to take on board! Such a great list!! We are headed toward two now and he doesn’t melt down a lot yet…I’m praying it doesn’t all come down on us at once!! I try hard to validate his feelings and be understanding because that’s a little body and some BIG feelings and sometimes I don’t handle my own emotions very well! But it can be tricky when you’re getting stares and being judged lol! You have some really great advice here. I have met my match in my little boy. My girls were very mellow and I felt victorous not dealing with this, but then came our little boy. He is a fit throughing fool in public. So I have gotten to the point of just tuning him out and it has not happened as much, because I think he was disappointed he didn’t get the attention for it that he normally got. Great post Sheri!! My baby girl is 15 months and has thrown a tantrum or two already. I’m a first timer and just kind of winged it but handled it as you suggested. I’m so glad to know I’m on the right track, and I love that tip about giving choices. My daughter never had temper tantrums… seriously. My son on the other hand who turns 3 in a few months is another story. He has temper tantrums that makes up for the lack there of with my daughter. This is a really great post and has great tips on dealing and you’re right… you definitely need to pick your battles! Temper tantrums are exceedingly common in children, especially between ages 1 and 4 — the early part of which is sometimes called the “terrible 2s” — when kids are still learning how to communicate effectively. If your child is upset to the point of being inconsolable or out of control, hold him tightly to calm him down. Tell him gently that you love him but that you’re not going to give him what he wants. If that doesn’t work, remove him from the situation and put him in a time-out for a minute or two to give him time to calm down. o YES and YES all around. Though I’d rather see a child go through a tantrum more than a teen or adult… that is the biggest ugh for me. I try to avoid such triggers and schedule life a little more around the kids so that it is more of a compromise. I too don’t believe in giving in to much and bribes are a huge no in my family lol. Haha I need to remember these for the near future. Nice tips. Some really great tips here. I think I’ll be putting them on to practice with my little one. 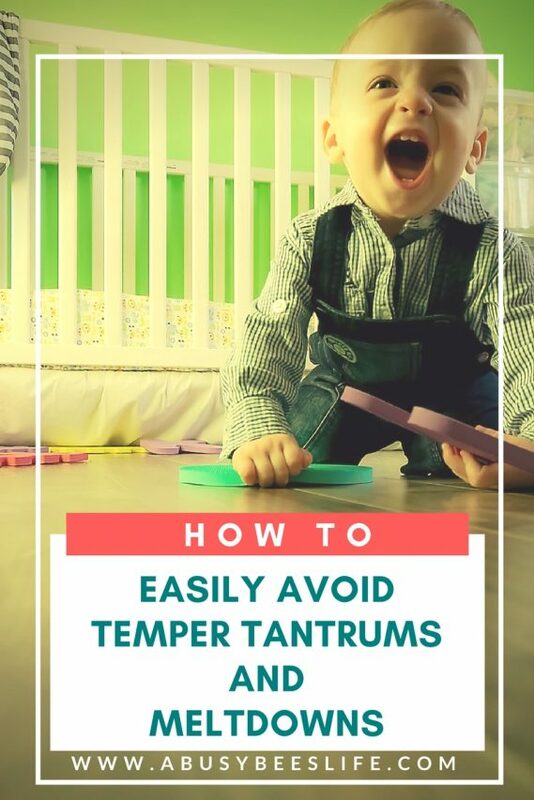 These are all really great tips for taming the tantrums! Oscar turned 4 last month and his latest thing is getting frustrated if he knows what he wants to tell us, but doesn’t know how to put it. It’s like the end of the world to him and he’ll start screaming and kicking his legs. Luckily, I’ve started to notice how he first reacts when he can’t think of the words he needs, and I can nip it in the bud before it starts. Phew! I certainly have been around when mother’s have had to deal with their child’s temper tantrums. And I never blamed the mom. Although my ex certainly did. My daughter never seemed to have any (knock on wood). Maybe it means she will be a rough teenager. But I was grateful I didn’t have to deal with it really. Haha this line is so funny and so true I don’t have kids of my own, but I’ve had the pleasure to be an aunt to a wonderful 3 year old who is an angel but can be quite the devil when he desires. When he throws tantrums, I end up behaving like a child myself. But now that I have read your post, I am better equipped to deal with it ☺️ Greatly written, Sheri ! These are all great tips. Dealing with toddlers is definitely about picking your battles haha. My daughter is 14 now and I can still remember the shame of her having a tantrum in the supermarket! You are so right, tantrums and meltdowns is they always seem to happen in the worst of places at the worst of times but your way of coping with the situation is so realistic and doable! Wonderful reading and great suggestions/tips. I don’t have children but i can imagine how tough it is to be a parent. This article is very helpful! These are great tips to those that have a toddler. I will also put this in mind when I start raising my kids. I’m not a parent, but I imagine that it would be quite difficult not to do any of these five no-no’s during a major toddler meltdown. LOL! But I love the suggestions that you made to keep the toddler engaged. I haven’t got kids yet but I will deffinately save this useful info for the future!! Best luck for you ! Being a parent probably is the hardest job ever even though that role of being a mom I have yet to experience. I am sure that we can learn so much about life from little ones. Ah the lovely 2-year-old 😀 I can’t wait for D to be two and see what kind of tantrums he’s going to pull! 😀 I’m actually pretty excited about it, am I weird? This is really helpful information. I can’t wait to share it with my friends with toddlers. Ha ha, I could so very well relate with my 2.9yr old kid.. And seriously handling them during those moments is a task.. I ‘ve followed the choice method & it has worked out great be it shoes or dress or even amongst his fav’s.. I say take either a roll or a dessert & he has to opt without those tantrums! This reminded of my childhood days, some rules were there. Still the todays generation needs to be in the room of law for their own good. I am stashing this post away for the future! I don’t have children and at the moment the sound of a toddler screaching in a tantrum i enough contraception for me! I think I was excactly like your daugher when I was a child! But good news: It will get normal again hahaha I think you have some great tips! Especially that yu shouldn´t take it personal! LOL – Amber, I feel you. My mu, used to always say that to me. Hilarious! I like the choices method because it means no arguing or crying. xoxo S.